Back in 2010 I worked for a private hospital. All the staff from cleaners, receptionists, nurses and Doctors was all just so lovely – a great bunch of staff who all have exceptional customer care skills. What did surprise me was that very few Receptionists (and some nursing staff) knew what the “nicely designed” reception desks were really for. When I say “nicely designed” receptionists desks I mean the desks that were there to help assist the disabled, especially people in wheelchairs. As you can see in the pictures the desks are designed in such a way that a disabled patient, can have easy access to the desk at all times. 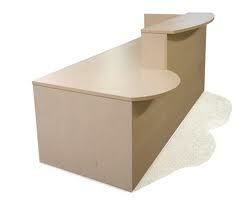 The “modern” receptionist desks are usually quite high – this enables the receptionist to sit on a high chair or stand so they are at the same level as the person they are dealing with. 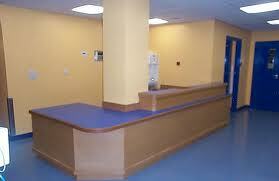 Can you see how difficult it would be for a wheelchair user at this desk? So why should a disabled person be any different? By having a lower desk it gives the disabled patient the option to sit at the lower part of the reception desk if they need to complete any necessary forms, or just to talk to a receptionist that is sitting on a low chair face to face rather than the receptionist standing and talking down to them. Its far more patient friendly doing it this way – and asking anyone that is either a receptionist or a disabled patient will both tell you it is a much nicer way to communicate. 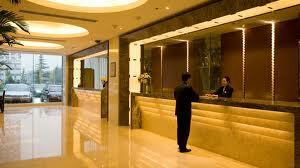 It is also excellent for confidentiality when the receptionist might be asking the patient some questions. It is not just wheelchair users that may need this facility – people on crutches would be unable to stand at the higher desk to complete necessary forms, and of course there are others that are disabled that have no signs that they are – but they still may need to sit down to complete necessary forms or just to book future appointments. So, to my dismay I actually witnessed a Receptionists standing talking down to a patient in a wheelchair at the highest part of the reception desk. The patient was asked to complete a form whereby the receptionist gave the patient a clipboard to balance on their lap whilst they completed the form. Other standing patients were crowding around the patient in the wheelchair and I am pretty sure they must have felt very uncomfortable. I didn’t want to embarrass the receptionist or the patient so I let it go. But as soon as the patient had finished I asked the receptionist why she though the low part of the reception desk was for. She replied she thought it was just the design of the desk. She then laughed and asked was it was for sitting on! I had to point it out it was actually there for disabled people to use – to enable them to complete any necessary forms at ease and the receptionist could speak to them at this point and avoid having to stand over and talk down to them – sitting on a low chair they would be talking to them face to face – as they would do with a patient that would be standing at the high part of the desk. She was amazed and agreed it was a great idea. I asked several other receptionists after this and a good 30% of them were exactly the same and thought that it was just a design factor instead of being there to help the disabled. Because of this the lower part of the desk designed to assist the disabled had no information leaflets like they had on the higher part of the desk, or pens that were needed to complete necessary forms. So, do not take it for granted that a new member of staff will be aware of what this part of the desk is for – get your Supervisor or Team Leader to use this in their Reception training and always ensure that the lower desk is as well equipped as the higher part of the reception desk. 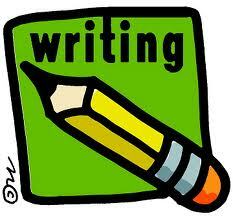 Receptionists Training: How To Identify People that Have Difficulties Reading and Writing. How would you identify and deal with a patient that might have problems with reading and writing – and not embarrass them? 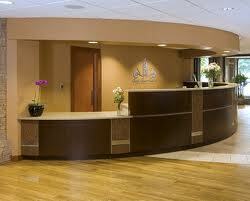 I have seen many patients embarrassed by a receptionist insisting that the “complete” the form in front of them. They have left their glasses at home! whatever reason do not embarrass the person by insisting they complete the form. well know many of these forms never come back again. So I appreciate the importance of getting the forms completed there and then. because you know what parts have to be filled in. that they have problems in completing forms. If they do tell them its fine – and they we get many request for help with filling in forms. Explain to them that you would be more than happy to help again, and that they should ask for you or another member of staff to help complete the next necessary form. Ask the person if you want them to make a note of it on their patient notes – so in future they are not asked to complete a form again at the desk. Many are happy for you to do this. It also helps other team members know of their disability in not being able to read or write. Every patient should be treated with respect at all times. A Wheelchair, like a shoe it is a mobility aid that enables a person to get around. Wheelchairs users are restricted by an environment that has been designed for able-bodied living. When talking to a wheelchair user try to put yourself at their eye level. Never assume a wheelchair user needs assistance, always ask. If your offer of assistance is accepted, always listen to how your support can be more effective. Whenever possible talk directly to a wheelchair user if you require specific information, not the person they are with. Always maintain good eye contact. 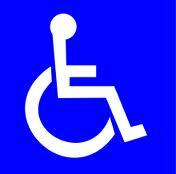 If you park next to a car with a disabled persons parking disc, leave at least 1 meter between cars. This space may be needed for loading and unloading a wheelchair. Offer assistance with heavy doors, but don’t barge in assuming you know best. Communicate with the wheelchair user at all times to establish if and how much support is needed.